We found some lost footage of Mickey's FD RX-7 build so we thought we would post it. 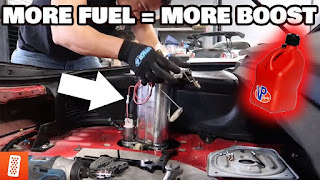 This was before the RX-7 blew up on the dyno but who knows... maybe someone will want to see what it's like to install a MASSIVE fuel pump on an FD RX-7. Check it out!